Diary of a Residence in Chile is a historical drama based on the diary of the British travel-writer Maria Graham, who came to Chile in April 1822, as the country was becoming independent from Spain. Widowed en route, she flouted convention by remaining in Chile for nine months. During that time, she befriended Admiral Lord Cochrane. The project began in November 2008 when the director Valeria Sarmiento asked me to play the role of Maria Graham in a project she had in mind. She then suggested that I write the script as well and that we submit it for funding from the Chilean board of television funding. I started working straight away, we got the funding for four episodes and it all started to come together. Miriam Heard as Maria Graham in Diary of a Residence in Chile. We shot the material in Chile, in 40 days, in a hangar on the old airport outside of Santiago, in the boiling summer heat of January 2011. Valeria and the Chilean producers put together a fantastic crew and the whole experience was one extremely joyous creative challenge and experiment after another. 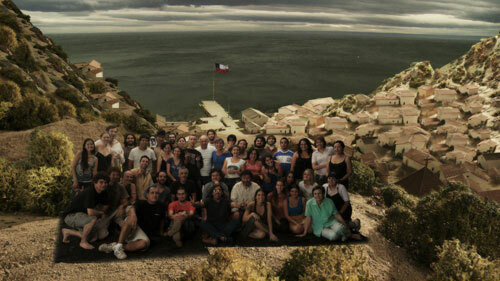 The cast and crew of Diary of a Residence in Chile. Sean O’Callaghan, with whom I’d worked on a Howard Barker play in London, was cast as Lord Cochrane, and did a phenomenal job. He’s about to play a part in a big Portuguese production about Wellington, also directed by Valeria Sarmiento, and starring John Malkovich. 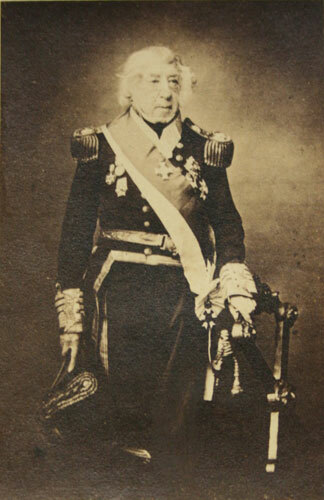 Sean O’Callaghan as Admiral Cochrane. After the shoot the post production took several months. We shot against green screen and it all had to be incrusted into shots of the beautiful little models made by Juan-Carlos Soler. 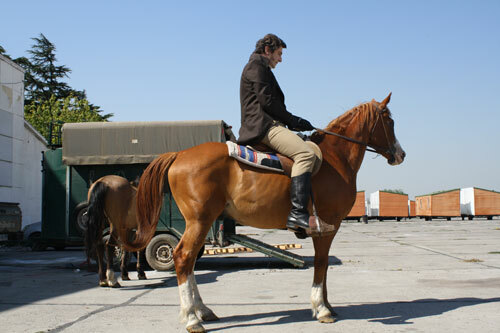 The post production of the TV version for Chilean television is now ready, and a film version is being prepared. 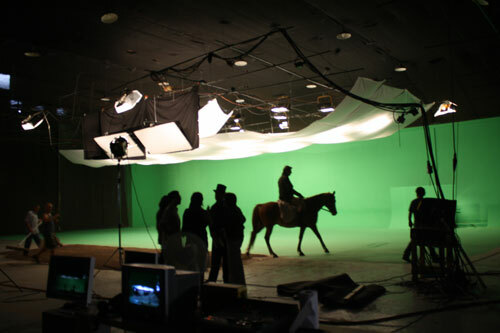 Shooting against a green screen. Sean O’Callaghan on horseback – he had to spend quite a lot of time up there, luckily Chilean horses tend to be very calm and quiet! 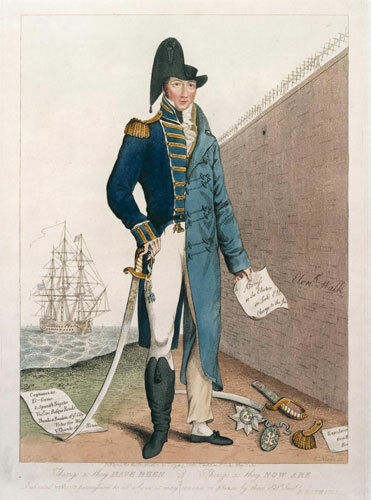 Saturday 26 November was a busy day in the life of the exhibition Admiral Cochrane, The Real Master and Commander, and for its lead curator. In the afternoon our Saturday Showcase ‘Cochrane: Fact and Fiction’ event saw myself and Cochrane biographer Dr David Cordingly offering some observations on the career of Lord Cochrane, and its depiction in historical and fictional writing. I somehow knew reading all these Aubrey-Maturin and Hornblower books would come in useful one day. This well-attended event was immediately followed up by an official visit to the exhibition by the Commander-in-Chief of the Navy of Chile, Admiral Edmundo Gonzalez. Lord Cochrane’s extraordinary victories in the Pacific are far from forgotten in Chile, and it was a pleasure to welcome Admiral Gonzalez and his colleagues to see an exhibition which the Chilean Navy has so strongly supported. 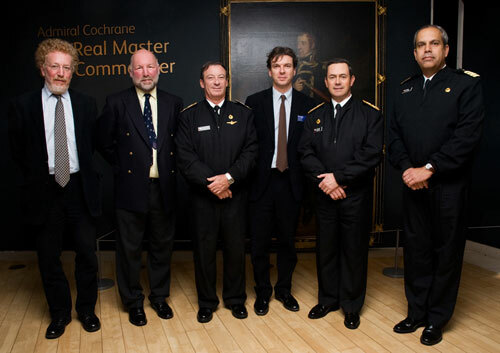 (left to right): Dr Tristram Clarke, National Records of Scotland, Commodore Rob Thompson RN, Commodore José Miguel Rivera, Dr Stuart Allan, Admiral Edmundo Gonzalez, Captain Ronald McIntyre. 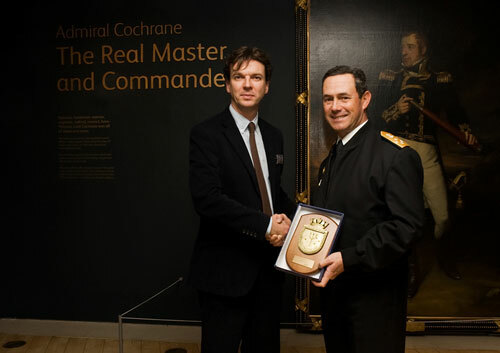 Admiral Edmundo Gonzalez, Commander-in-Chief of the Navy of Chile, presents a gift to National Museums Scotland to mark the exhibition Admiral Cochrane, The Real Master and Commander. 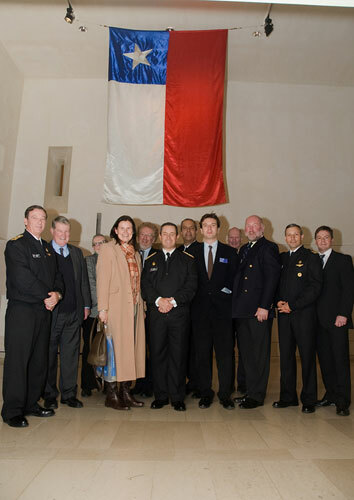 In order to represent Cochrane’s honoured place in the Chilean Navy of the present day, the Museo Naval y Maritimo at Valparaíso kindly lent to us, through the Chilean Embassy in London, the ensign from the Almirante Cochrane, one of a sequence of Chilean naval vessels that have borne the Scottish admiral’s name. The ensign hangs at the entrance to the exhibition. 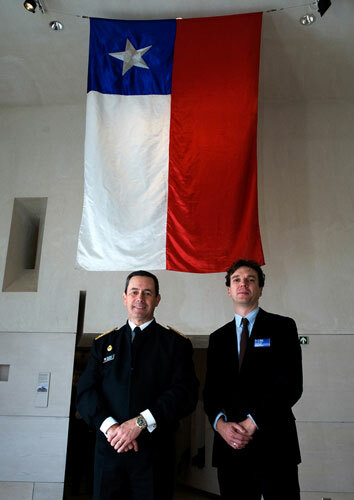 Admiral Edmundo Gonzalez, Commander-in-Chief of the Navy of Chile, and lead curator Stuart Allan with the ensign from the Almirante Cochrane. Our guests from the Navy of Chile and the Royal Navy gather with museum representatives beneath the ensign from the Almirante Cochrane. The Almirante Cochrane currently in service is a Type 23 frigate originally launched for the Royal Navy in the Clyde. 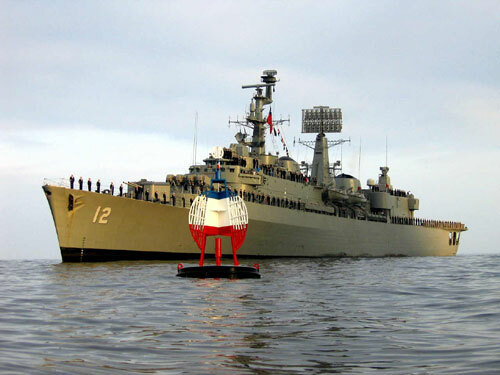 The ensign was flown from its predecessor, a County class destroyer, also Clyde built, which was in service with the Navy of Chile from 1984 until 2006. The former Chilean naval destroyer, Almirante Cochrane. Ships of the Chilean navy are only one of the many ways in which Lord Cochrane’s contribution to national independence is remembered in Chile. Visitors to that marvellous country will find streets named in his honour, statues at Valparaíso and at Valdivia, scene of his greatest victory, displays at the naval and maritime museum, and his house at Valparaíso preserved on the hill overlooking the harbour. Further south, in the Aisén region, there is a town and a great lake named after him, and even an amateur football team called ‘Lord Cochrane’. Cochrane-spotters in Valparaíso should not overlook La Sebastiana, former home of the Chilean 20thcentury poet Pablo Neruda. Neruda’s admiration for Cochrane’s achievements led him to compose his 1967 poem ‘Lord Cochrane de Chile’, an excerpt from which can be heard in our exhibition. A portrait of the Admiral is one of the many interesting Neruda possessions which may be seen at La Sebastiana. 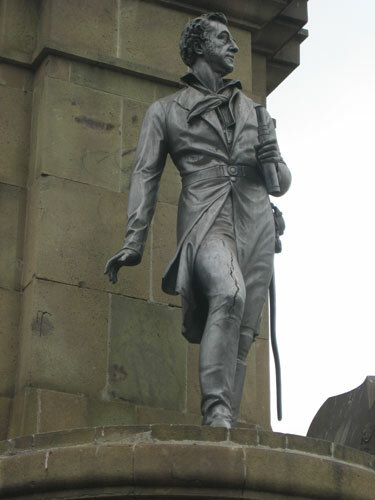 The Lord Cochrane statue at Valparaíso, Chile. One of the best things about being part of the exhibition team for Admiral Cochrane, the Real Master and Commander has been the chance to delve into Cochrane’s rich collection of personal papers. They form the major part of the family papers of the Earls of Dundonald in the National Records of Scotland, which is a partner in the exhibition. You don’t have to know much about Cochrane to be aware that he packed a lot into a long and almost incredible life. The highs and lows of his career as a naval officer and politician, and his life as an inventor and family man, are all documented in his personal archive. For the exhibition the challenge has been to choose a few documents that would help to tell Cochrane’s story. We wanted to show documents which complemented the objects and paintings being chosen for display. 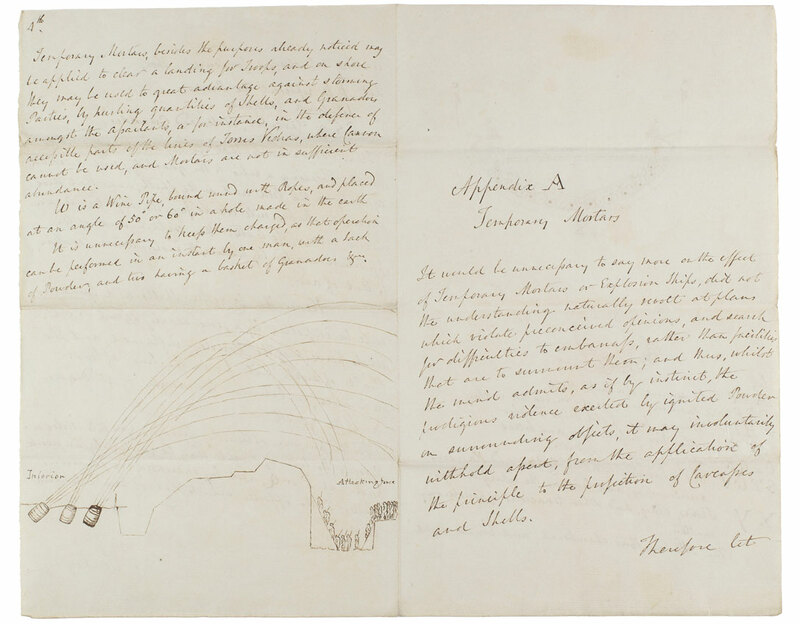 We believe that, reunited with objects that were once in Cochrane’s possession, these key documents speak of his experiences, ambitions and achievements. They have one thing in common: they were important to him in different episodes of his life. He kept them and must have treasured them for their associations with his past. Address to Lord Cochrane from the government of Brazil, 1823 in gratitude for his role in helping overthrow Portuguese rule. 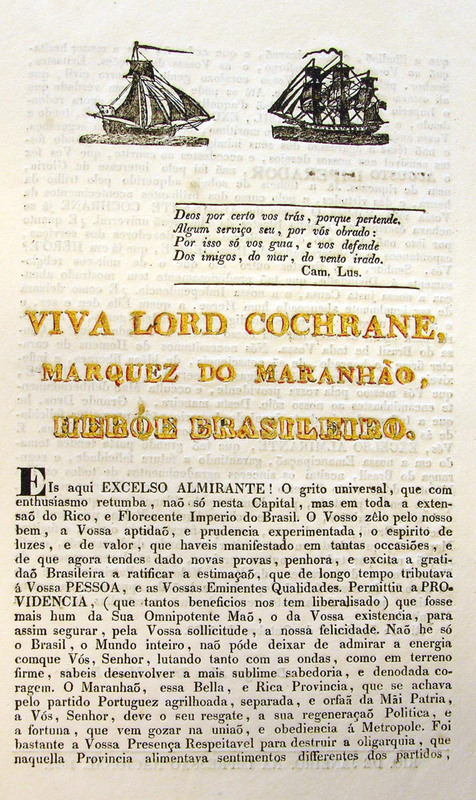 It begins ‘Long Live Lord Cochrane, Marquis of Maranhao, Hero of Brazil’, and is part of the extensive archive of his time in South America. National Records of Scotland. In many ways the papers are the key to his past. They were a major source for the autobiographical writings of his early eighties, supplementing his failing recollection of events decades before. Throughout his career he had used his own papers and copies of official documents in order to make representations and claims for reward, and to complain of unjust treatment. Cochrane rarely received the prize money he believed was his proper share, whether in Royal Navy or foreign service, and he had plenty to say on the subject. His greatest grievance, and perhaps the best documented, arose from his trial and disgrace in 1814. As a pivotal moment in his life, the events of that year form a central part of the exhibition, but a minor personal discovery did not make it into the show: Cochrane was symbolically kicked out of the Order of the Bath, and the heraldic official who carried out the midnight ‘degradation’ was my great-great-great-great uncle. ‘Things as they have been and things as they now are’. Cochrane in disgrace in 1814. Every phase of Cochrane’s naval career is so full of incident and character that it is a subject in its own right. Not surprisingly, his archive has been mined not only by his biographers, but also historians looking at different aspects of his story, such as his amazing feats in helping liberate Chile and Brazil from colonial rule, or his interest in developing chemical warfare weapons. His engineering activities have yet to be studied in detail, but as Desmond Thomas noted in his recent blog post, Cochrane’s skills in this area do not compare favourably with his naval achievements. Certainly he didn’t get back his huge investment of effort and money. 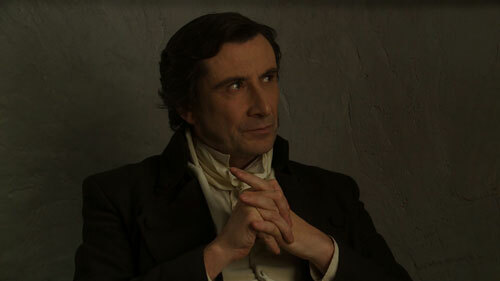 However, Cochrane is a subject who reveals hidden depths the longer you look at him. One of the key documents on show is Cochrane’s log as commander of the sloop ‘Speedy’ in the Mediterranean. I was fascinated to see how the actual recorded events in the book were retold at greater length in his autobiography, and much later inspired the events of Patrick O’Brian’s Master and Commander. This theme will no doubt be part of the Cochrane event on 26 November at the Museum, featuring Stuart Allan, lead curator of the exhibition, and David Cordingly, Cochrane’s most recent and perhaps best biographer. Photograph of Cochrane in his eighties. The other best thing about helping curate this exhibition has been to be part of a dedicated and enthusiastic crew of professionals: my conservation colleagues in NRS, who painstakingly prepared Cochrane’s own papers, as well as with a whole team drawn from different areas of National Museums Scotland, who have together created the exhibition. The idea that a great naval hero such as Admiral Cochrane could simultaneously be the type of man who might work by flickering light on some far fetched idea in his garden shed was one that greatly intrigued me. So, when Stuart Allan approached me last year and requested that I research the creative element of Cochrane’s life, I instinctively accepted, having very little idea of what I would uncover in the process. My main port of call for primary source material was the National Records of Scotland (formerly the National Archives of Scotland), whose collections feature the current exhibition Admiral Cochrane, The Real Master and Commander. It was at times a difficult process trying to piece together the material relating to his various engineering projects and patents into one coherent chronological list. Although many books have been written about Cochrane, the majority have naturally tended to focus on his naval and political career, with only scant mention of his engineering endeavours. Those familiar with Admiral Cochrane will be aware of his ‘secret war plans’ which advocated the use of chemical warfare against Britain’s enemies but the wide range of subject matter his projects touched upon proved surprising. Some of the things he worked on included street lighting, rotary steam engines, practical uses for bitumen, air compression in tunnel construction, pipe laying, smoke/gas extracting machines and screw propellers. Plan for temporary mortars by Admiral Cochrane. Click on the image to see a larger version. As a general picture of the type of work Cochrane had been getting involved with began to emerge, the next difficulty presented itself. Attempting to actually understand and interpret the often rather technical notes and diagrams that accompanied Cochrane’s many projects was not a straightforward task for either myself or Stuart (both of us being military history types with questionable scientific knowledge!). This is where National Museums Scotland colleagues such as Alex Hayward, Alastair Dodds and Klaus Staubermann from the Science & Technology department came into the picture and really helped us out. They allowed us to not only very quickly put Cochrane’s work into context but also to accurately categorize him not as an inventor but more as an entrepreneurial engineer who, in many ways, was not that unusual for his time. This perfectly illustrated to me the very real benefits of what a multi-disciplinary organization such as National Museums Scotland can bring to such a project. Throughout my research my main concern was perpetually wondering whether we were getting the fullest overview of Lord Cochrane’s engineering curriculum vitae. Needless to say, when you are working with historical records you often have to work with what you can find at the time and simply get on with it. This certainly turned out to be the case, but despite this I feel we touched upon and discovered the vast majority of projects Cochrane had been involved in throughout his lifetime. It is difficult to say with any degree of certainty what his greatest engineering achievement is. None of his ideas created the vast fortune he had hoped for during his lifetime (one feels he would have been persistently rejected on Dragons’ Den) but some of his ideas did see use in the years and decades following his death. His ideas on the use of air compression in the construction of tunnels, for example, can probably be viewed as one of his most successful, as it was influential in the building of the Hudson tunnel in the United States. What proved most surprising to me in the course of researching Admiral Cochrane’s engineering interests was that most of the ideas he worked on had a civilian application rather than a military or naval one. The sheer breadth of the subject matter his projects covered was also impressive. I believe these elements will also surprise and interest visitors to the exhibition and at the same time illustrate what a unique and intriguing character Admiral Cochrane was. As this was the very first exhibition I have ever contributed to, I obviously learnt a lot in the process and am just fortunate that Stuart Allan was kind enough to give me the opportunity to assist and help out. Conducting research is by its nature a solitary activity but it was made all the easier in this case by the constant support and advice I received from Stuart from start to finish. 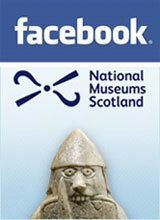 Admiral Cochrane, The Real Master and Commander ran at National Museum of Scotland until 19 February 2012.